Should you upgrade your Mac or buy a new one? Before you rush out and start spending, it's well worth weighing up the pros and cons of upgrading versus buying a new Mac. This will depend on what you really want to get out of your upgrade. 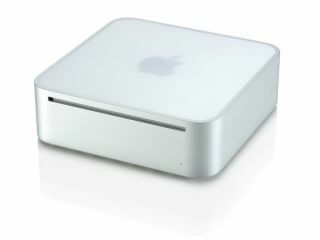 If you have a G4 tower, for example, and are really struggling to run the software you want, buying and fitting a new CPU, more RAM and larger hard drives might work out more expensive or comparable to buying a new iMac or Mac mini. If you don't need the PCI slots of a tower, by buying new you will get a new warranty and a very slick piece of kit. The Intel processors in all new Macs also trounce even the fastest G4 upgrade card you could buy, if we're being honest. Compared to a decade ago, Macs are now a lot cheaper and their performance far better than anyone could have guessed at that time. Consumer models like the MacBook and Mac mini, aggressively priced to lure switchers away from PCs, sell incredibly well and have specs not so far removed from the Pro portables and iMac. The Mac Pro, though not exactly cheap, is an absolute powerhouse with eight processor cores as standard and the ability to hold a colossal amount of RAM and internal storage. Another factor to bear in mind is that as time goes on, Apple will eventually phase out support for PowerPC processors from its newest operating systems. Some believe this could even be the case with Mac OS X 10.6, which will be optimised for Intel CPUs. It's not yet clear if G4s and G5s will be supported but even if they are, you're far better future proofed with a Core 2 Duo Mac than a PowerPC one, not to mention the fact that 10.5 will run more comfortably on faster chips. Of course, if you're quite happy with 10.4 or 10.5 and feel no need to have the very latest system, most G4s – and certainly G5s – will run them perfectly well provided you have a healthy amount of RAM installed. There are also, of course, compelling reasons to upgrade rather than buy new. Many people are attached to their older Macs not just because they were an investment but also because, unlike PCs, Macs have a bit of character about them, so it's not quite as easy to treat them as mere commodities. In cases where someone has invested a lot of money in a setup – for music, video or printing, for example – it can be that newer Macs or operating systems are incompatible with their expensive peripherals. Imagine you have PCI cards hooked up to top-end printers or audio interfaces, but they only work on a G4's PCI bus and not those of newer Macs; you would want to keep the G4 for compatibility, but need to upgrade its components to get maximum performance. Or let's say the software you invested in several years back won't run on 10.5 but it does on 10.3, a system unsupported by newer Macs; keep the old machine but give it a speed bump. The crucial thing to consider when upgrading is what specifically you want to improve about your Mac. Adding bigger, faster hard drives is relatively cheap and will give you lots more space for storage, and adding RAM is similarly fairly inexpensive and a good way to make your Mac snappier and more responsive. But neither of these would help all that much if, for example, you wanted to play the latest games. For that, you would need a faster graphics card. Or let's say you wanted to run the newest music or video software. In this case, faster processors would be the key. None of these upgrades is going to do anything negative – adding RAM is always a good idea – but tailor your upgrade choices to the tasks you want to achieve.